In the heart of the golden zone, Gus Gus serves more then just fine Mexican food. The restaurant provides the fun, festive atmosphere many come to Mexico for – the fiesta. 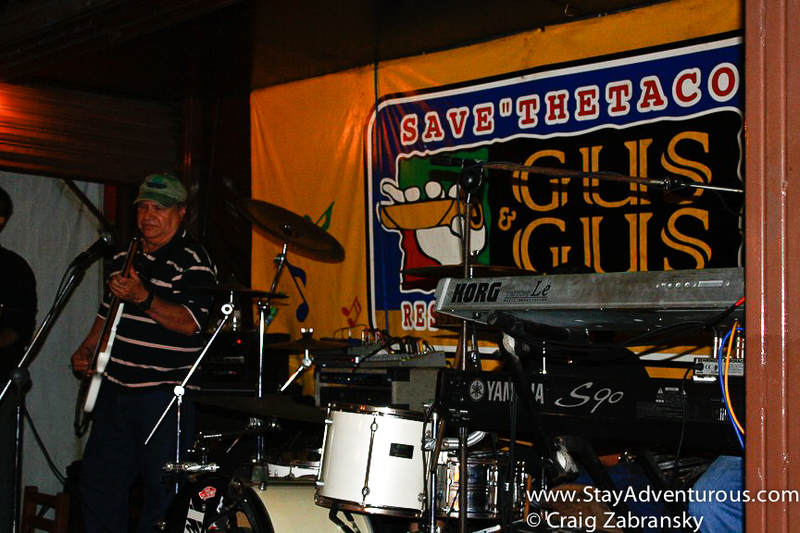 From the live music rock band, to the dance floor filled with tequila fueled tourists and the fire show dance troupes work for peso tips, Gus Gus will not just feed you, but also entertain you. After a few days of seafood and shrimp at places like La Puntilla and Alagua, I decided to return to meat and ordered the arrachera based on the recommendation of my host. I loved it at El Sazon de la Abuela Tina (although next time I might order the Molcajete) and I loved it again. It turned out to be a good choice at Gus Gus. 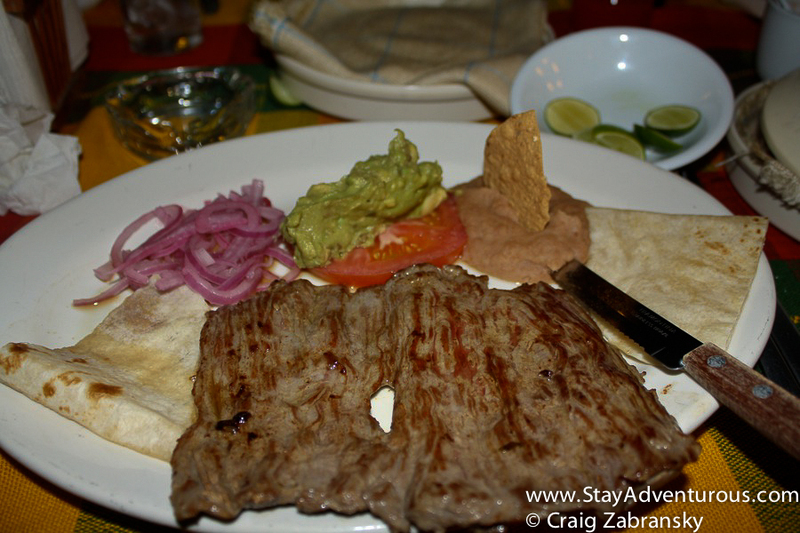 Ah, there is something about the arrachera in Mexico period. I’ve never really enjoyed it as much as I do inside the country. 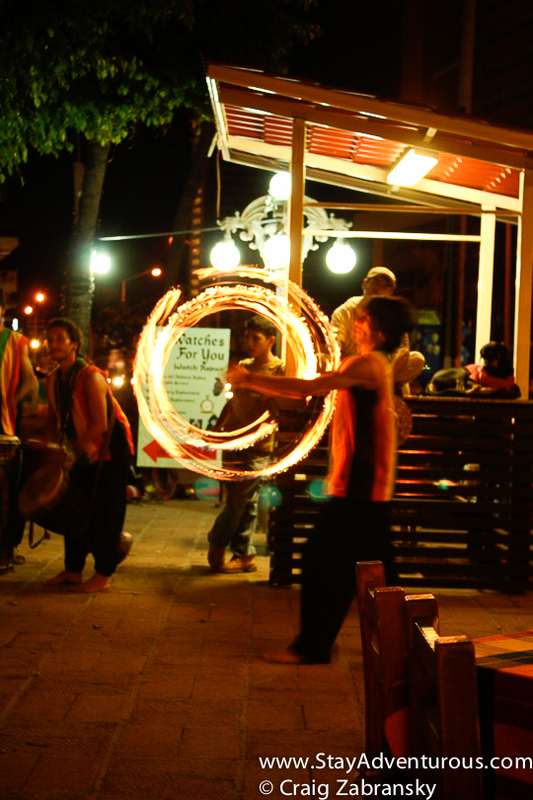 In between bites, I watched Canadian tourists dance to classic rock and order rounds of tequila and folks dance with fire. Entertainment in every direction. The place picked up and seemed as much as a bar as a place for dinner and drinks. The weekend began. In the Golden Zone, the restaurant does cater to tourists, but you’ll find locals. I noticed many pulmonia (taxi) drivers hanging out enjoying a break pretending to look for a fare. 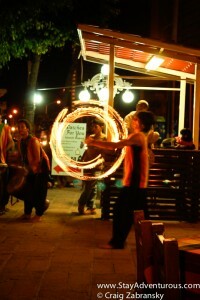 Not unlike us, they enjoy a drink, some live music and the “shows” Gus Gus offers to all in Mazatlán. Tip: When you are looking for that big night out on the town, Gus Gus in the heart of the Golden Zone, provides the perfect place to begin. 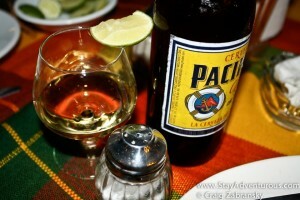 It’s a great place to start an evening and enjoy a Tequila and cerveza to get things moving forward over dinner. 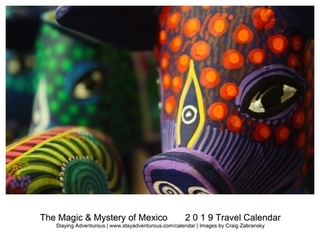 This is the second installment of the Culture Through Cuisine – Restaurant Week Series and the fifth of five posts on Mazatlán, Mexico. Also, a special thanks to GoMazatlan for being such gracious hosts. Great article, keep em’ coming!